Little girl makes a HUGE impact. Aryanna may look like your typical 8 year old, but please do not let her fool you! This kid is anything but ordinary. Aryanna mentioned to her mom and dad that she would like to do something special for others. 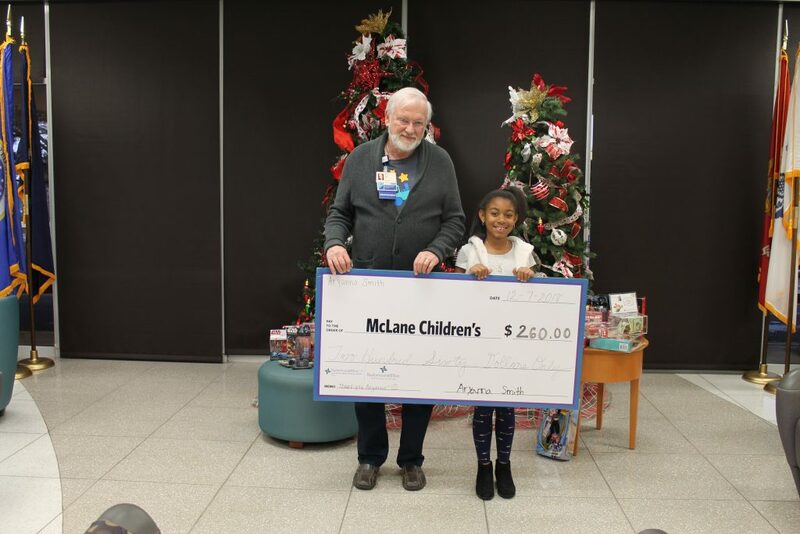 She said “My family is blessed, so I wanted to bless others.” That is when she started collecting toys and financial donations for McLane Children’s Medical Center. She came to McLane Children’s with a bag full of toys and $260 that she raised. 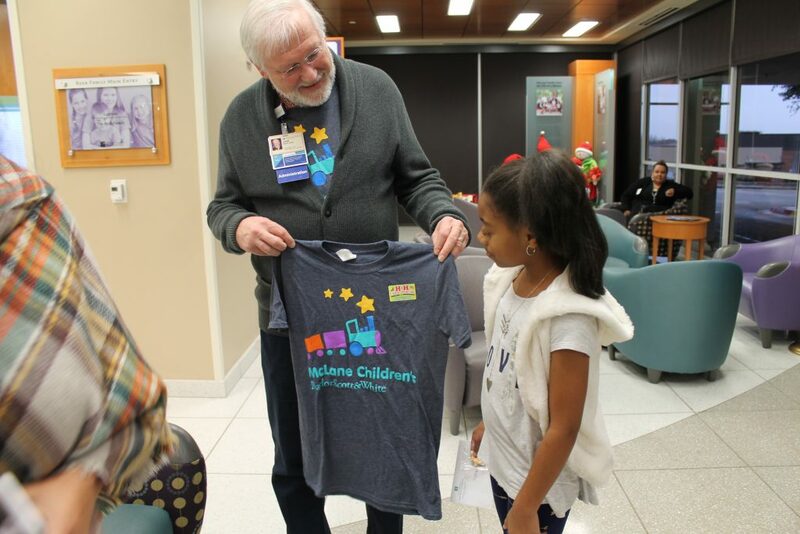 President of McLane Children’s, Dr. John Boyd, met Aryanna and personally thanked her for her tremendous gift. “She’s a special girl”, he said. We certainly agree! THANK YOU Aryanna! We cannot wait to see what amazing things you do next! Next post: Announcing the Vote for Miracles Winners!